I met Jeremy Corbyn in my local pub this evening. He talked about his day in Brussels and I told him about my day at Unbound. I said 'Left Field' was being published soon and that he features in several chapters. He was involved in helping me instigate an enquiry at our local hospital when a neighbour committed suicide. In the chapter 'Ships at Sea' I explained that my politics had been summed up in a lifetime's opposition to joining any parliamentary party, but that I had now had to add a postscript. 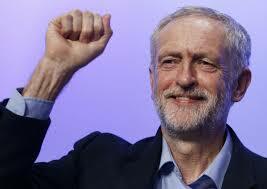 Because of him, I have joined the Labour Party. He has accepted a copy of the book and wants to attend the launch. It's not too late for you to pledge your copy and, if bought before the end of the year, your name will be printed in the book.